Two words. Monumental Recipe…..Traditional Greek Pita Bread. Like it is crazy, just insanely good. You could not get them better unless you flew to Greece. 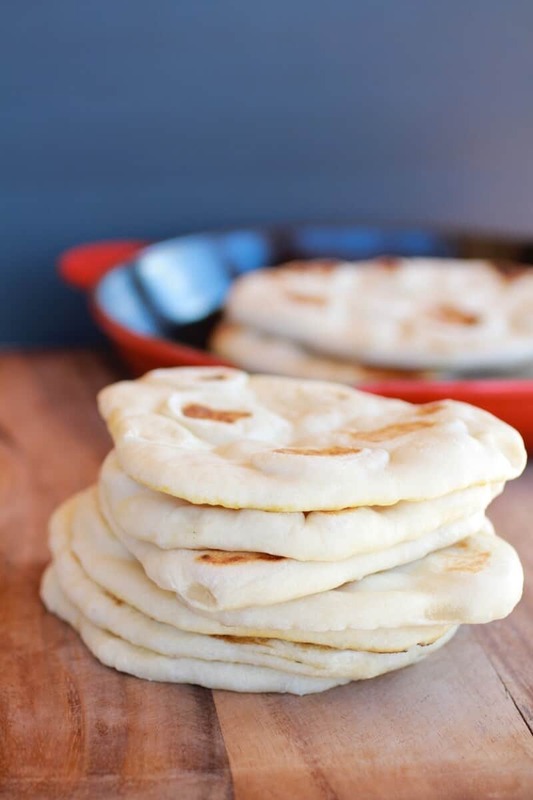 I can promise you guys, that after you make this easy homemade traditional Greek pita bread you will never want to buy the store-bought version again. Sure, you may have to for convenience and time purposes, but you will probably be wishing you were eating these. Nah, not probably. You will. Guaranteed. They’re so soft, so chewy and the flavor is just so good. There really are no words to describe just how good these are. If you can make pizza dough, you can make these. And even if you have never made pizza dough, you can still make these. 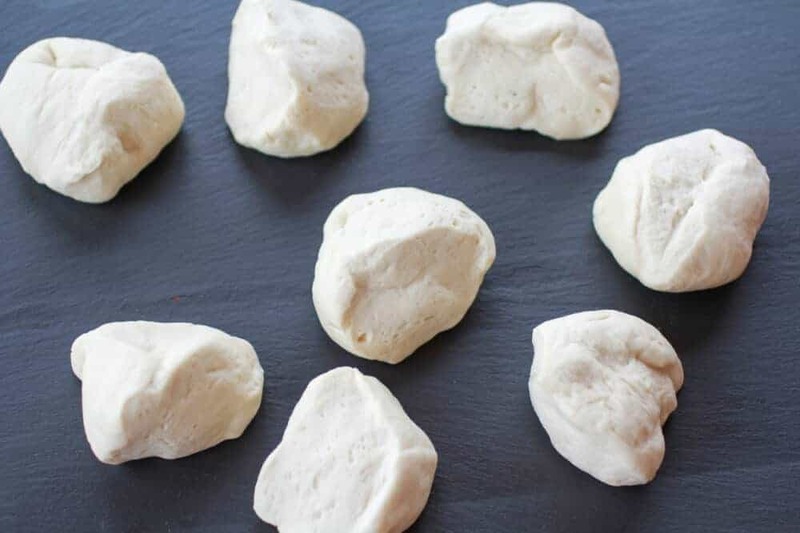 They are so simple and the dough is really easy to work with. These pitas are going to transform your lunches and even your dinners! Greek pizza? Yes! So, I made these pita’s with a purpose. A real good purpose. But you are going to have to wait till tomorrow for that. Until then, make these pita’s. You’ll want to just eat them plain, but you really should wait and pair them with tomorrow’s post. But trust me, make them now. Mix the water and yeast together in the bowl of a stand mixer (a large bowl will also work if you do not have a mixer), and let sit for about five minutes until the yeast is dissolved. Add 2 1/2 cups of the flour (saving the last half cup for kneading), salt, and olive oil. If using a stand mixer attach the dough and need the dough on medium speed for 8 minutes, adding more flour until you have a smooth dough. If using your hands sprinkle a little of the extra flour onto your clean work surface and turn out the dough. Knead the dough for about 5-7 minutes, until the dough is smooth and elastic. Add more flour as needed to keep the dough from sticking to your hands or the work surface, but try to be sparing. It's better to use too little flour than too much. If you get tired, stop and let the dough rest for a few minutes before finishing kneading. Warm a cast iron skillet over medium-high heat (you want a hot pan). Drizzle a little oil in the pan and wipe off the excess.Lay a rolled-out pita on the skillet and bake for 30 seconds, until you see bubbles starting to form. Flip and cook for 1-2 minutes on the other side, until large toasted spots appear on the underside. Flip again and cook another 1-2 minutes to toast the other side. 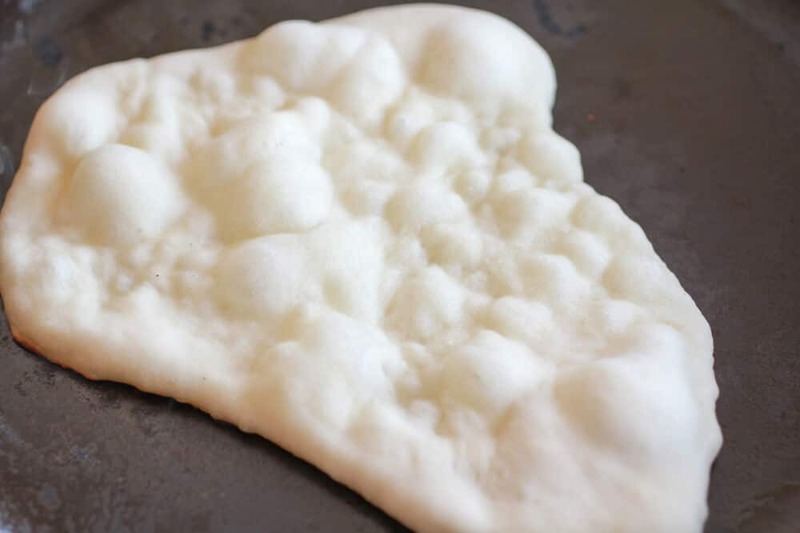 The pita should start to puff up during this time; if it doesn't or if only small pockets form, try pressing the surface of the pita gently with a clean towel. Keep cooked pitas covered with a clean dishtowel while cooking any remaining pitas. It is Sunday. The perfect day to make some fresh homemade Greek pitas! Yummy! I love Greek pita! I LOVE your blog and all of your great recipes! 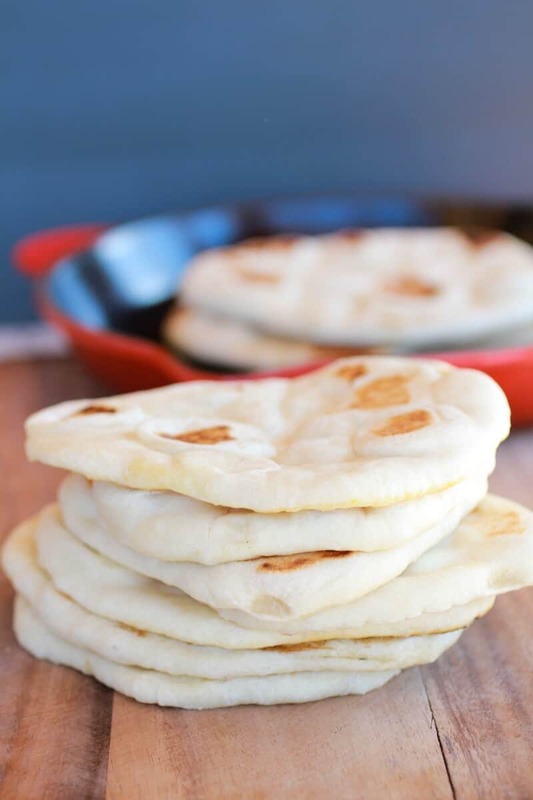 But, this recipe for pita bread is one that inspires me to get up and make some right now!! Yes, you can! But just a note that they will be a little more dense. Hope they turn out great for you! I can’t wait to try these, they look awesome! Thanks for pinning I hope you guys like em! Your photography is so good…these pitas definitely look delcious. I love bread anyway, and it’s always nice to try something a little different. Thanks for sharing this. Oh what a great idea! Thanks for sharing at Show Me Your Plaid Monday’s! These look soo good! I have seen pita recipes before but they never looked as good as this one! I am going to try and make some of these for sure! OMG! does that look good, thanks for sharing cause i am making this! These are the most perfect pitta breads I have ever seen! Pinning and hope mine turn out as beautiful as yours! Thanks for pinning and I am sure they will be great! Wow, I am so going to try these. They look fabulous. I would love to have you link up to my link party this week. I’ve got to try this. The pita bread in the store never looks anything like the stuff they serve at Greek restaurants. The closest I’ve found is Naan bread they sell at Costco. Pinned these and the chicken gyros. Yum! I totally agree!! Thanks for pinning! My husband went to Greece in December and LOVED the food. I’m going to have to make these for him so he can reminisce about his time there. Thanks for sharing. I’d be thrilled if you’d link up your recipe at this week’s Off the Hook! Oh wow. I’m drooling all over my keyboard. This is TOTALLY a recipe my husband and I would absolutely devour. Pinning now to make very soon. Thank you so much for sharing! Oh my! This looks fabulous! I am pinning this recipe and trying it this weekend… YUM! If the dough did not rise, you might have under kneaded it. However they may still turn out. I would allow the dough to come to room temp before trying to roll it out. Good luck! Pressing the surface of the pita gently with a clean towel may help air pockets form, but even if the pockets do not form the pita is still amazing. I actually prefer them without the large pocket. =Don’t get to caught up on the big pocket (none of mine had one large pocket). Traditional Greek pita bread does not have a large packet, they look like the ones in my pics. Trust you will no regret making these, pockets or no pockets! Good luck! looks awesome!!! Thanks for sharing at Tasteful Tuesdays! Just wanted to let you know that this will be featured at tomorrows party :o) Link will go live MOnday night. 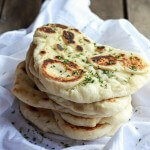 I have been looking for a good pita bread recipe, can’t wait to try it! Just pinned. WOW, I just made these and they were amazing!!! They look just like your photo.. Thanks for sharing. Next time I might add some feta cheese and Greek seasoning..
Yum! I am so glad you liked them! Thanks for reading! Can’t wait to try this Tieghan! Pinned and featuring tomorrow! Thanks so much for sharing! I am so happy you like them! I tried these last week, and used them to make a chicken pita with spicy ranch dressing. It was amazing. This time I’m going to sprinkle with a little Greek seasoning and enjoy them with some fresh hummus! Thanks for sharing this recipe! They are delish! and super easy! I am so glad you liked them! Thanks reading! Definitely trying these! PINNED!!!! Thanks for sharing with us! I made these last night and they turned out amazing! I usually make lamb meatball gyros and buy my pitas at Trader Joe’s but you sold me on if you can bake bread you can make these. The pitas made the meal! There are only 2 of us and we at 6 of the 8 pitas the batch made. We took the additional 2 to work today. 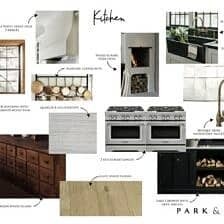 I do have one question……did your kitchen get smoky when cooking them? I was cooking the pitas in my cast iron skillets – I have 2 Le Creuset pans and I used both the 10 and the 12 inch about medium-heat. After the 2nd batch of pitas the extra oil in the pan made my kitchen get really smoky. I had to put a box fan in my window because my kitchen fan was not doing the job. It cleared out quickly but I wonder if you had the same problem? They still tasted great and looked just like yours but I was wondering if you had a smoky issue? Yup, my kitchen got smoky. I opened door. It is just whats happens when those caste iron pans get smoking hot, the smoke! Ha! So glad you liked them! I loved reading your comment! Do you need a cast iron skillet for these to turn out? These sound great! 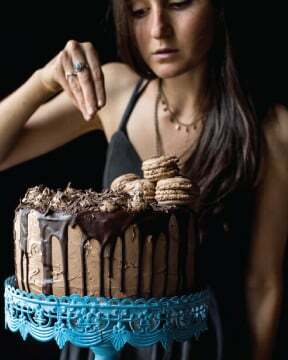 I’m going to thy them this weekend – but with Gluten Free flour. I found you today through the Pinterest Power Party. I’ve pinned this to my Pinterest Boards (http://pinterest.com/vmg206/). I’m #75 at Callies Crafts and I’d love for you to stop by my blog and leave a comment and/or pin, too! Oooooh! I’ve been really wanting to try pita or naan in a skillet. Thanks for sharing with us! I am telling you try it! So amazing! Mine came out good, but didn’t look a pillow soft as yours in the picture, I guess that comes with practice! Just try again, you’ll get there! 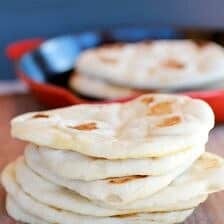 If I used bread flour instead of all purpose, how would that effect the texture of the pita bread?? Bread flour works great! I have actually used both and not noticed to much of a difference! Enjoy! I’ve made these twice now but both times the pita came out really dense instead of fluffy. I’m not sure if this was because the dough didn’t rise right? I used a KitchenAid mixer to mix the ingredients together for eight minutes, than left it to rise for several hours. It never doubled in size. Any thoughts as to what I’m doing wrong? The problem is definitely that your dough is not rising. Is your yeast fresh? Or did you let the yeast dissolve in warm water to proof? It should have foamed at the top? If it did not then your yeast is probably bad. Hope this helps, let me know if you have any other questions and do not give up. This recipe is worth it, promise! Would this work to use the bread machine to mix the dough? I can not say for sure, but I would think so. It’s worth a try! Let me know how it goes. You say hot water? I am going to give these a try. Thanks. I saw your recipe for these pieces on Pinterest. I made them last night for me and my boyfriend, and can I say you are exactly right about how wonderful these are! I have always hated store-bought pita because they have a tendency to taste stale and tough, but these were so delicious! I didn’t even know that this is what pita bread was supposed to taste like. My boyfriend, whose father was Mediterranean, vouched for the authenticity of the taste of these. We will be having these on a regular basis, and I so appreciate you posting this recipe online. This is a life-changing recipe! I am SO glad you loved these! This comment made my night! Tried but not true. No pocket! Traditional pita bread has no pocket, sorry they did not turn out for you! Thank you! Pita bread is the best! These look so yummy. I’ve been wanting to make my own pitas for a while and just haven’t gotten around to it. They also look super easy, and I love that I can leave the dough in the fridge and make them as needed. I’m always in need of easy lunch ideas, and what could be better than stuffing a nice warm pita with some sort of sandwichy goodness? Can’t wait to try them! NOTHING beat these pitas they are so good! Hope you enjoy them! I tried making these. I rolled them out to 1/4″ thick and they puffed up fine but when I cut them open they were still partly raw. I think medium high heat may be a little too hot for cooking these, didn’t really like the smokey kitchen either. I will try again, but next time will cook on an electric griddle at a lower heat – like english muffins. Oh man, sorry to hear that they were not cooked! What a bummer. Mine cooked great at medium-high but maybe mine pan was not has hot as yours. Hope the next try works better! I don’t usually comment on a recipe, but I have to for this one. Great recipe! I have made flatbread and naan many times. This recipe wins hands down as written. I doubled the batch, refrigerated after the rise, and cooked on my griddle. Made 13, they looked just like the picture and tasted delicious! YES! Thank you for try these! I am so glad you loved them. That makes me smile! Hmmm… I honestly can not say. It sounds like you are doing everything right. I do live in a VERY dry climate, so maybe the humidity does have an effect. I guess I would try rolling the dough thicker. This will help them puff and hopefully keep them from getting crisp! Also, make sure you pan is not to hot. You want it hot, but not smoking. Hope that works and let me know! I just made these and they are absolutely delicious! Except, mine didn’t puff up at all, they stayed flat. What happened? Did they have any little pockets? These are traditional greek pitas, which mean they will not get that big pocket in the center. They should however have little air pocket throughout. Still glad you like them though! Thank you for this delicious recipe. Oh, I can’t think of a time when we enjoyed something so simple so much! Awesome recipe and will use again and again! YAY!! So happy you enjoyed it! This recipe came out perfectly, amazingly, and I ate way more pita bread than I should have. I’ll definitely be making it lots in the future! Yes! I love hearing this. Thank you for making these and letting me know you loved them! Though pita bread is readily available in grocery stores where I live, often it is stale (or quickly becomes stale). This is a wonderful recipe. I have made pita bread in the past using the oven and a pizza stone. The results with this method were far superior (and simpler). Delicious texture… very easy to make (unclear what the fuss is from many respondents). Definitely a keeper. Thank you so much!! I am so glad you liked it! LOVE LOVE LOVE these pitas!!!!!!!! So easy & YUMMY!!!! Made my 1st batch last week & making my 2nd today!! Mmmmmmmmmmmmmmmmmmm!!!! YES! I am thrilled you love these!! They are my favorite! I’ve done this a few times now. I love this recipe. I made it last night with whole wheat and they were still fantastic. I linked your recipe into my blog because I had to spread the word. Thank you so much! Awe, thank you so much!!! I am so happy you love this recipe! It is one of my favorites! Awe, thank you so much!! I hope you love this pita! I make it ALL the time! It is a huge hit around here! Can I make the dough using my bread machine? have never tried this so I cannot be sure. Let me know if you do and how it turns out! Sorry I was not of more help! I have made these a few times now and they are sooooo yummy (turned out perfect!) My kids love them too, as well as your chicken gyros recipe! Comment from my 5 y old on first taste: “bad news, Mom… Dad’s never gonna take you to a Greek restaurant again! Cuz these are too good!” I am making them today for a bigger family gathering. My question: can I just double the recipe or would I be better to make 2 batches? I have made pita on a recipe from another site a month back, tonight i made your pita bread. Your recipe was sensational. the two packets of yeast made it super light and adding the oil, as well. will be using your recipe from now on. pita bread is soooo much fun to make. OMG! This is the best pita recipe. I ended up interlinking this recipe to my blog article on making a beef tagine. Your pita bread is the perfect companion to the stew. Thank you for sharing it. SO thrilled you love this! Thanks so much for making it and reporting back! YAY! So happy you loved this! Thanks! Whoa! So cool! I will have to try that. I love chia seeds! Thanks Stacy! I am thrilled you loved the this bread! I keep my yeast in the freezer so it stays good longer. Good luck on getting yours to rise! I’m going to make your pita bread tomorrow, and let it rise in the fridge overnight, baking them on Easter morning. I don’t like store-bought pitas, and I’m making gyros for lunch. Oh ya! These are perfect for Easter! Hope you love them, Rebecca!! Happy Easter! THANKS! So happy you love this! I was spoiled growing up in New England, fresh pita was already available. Now, living in the rural south I made do with stale grocery store pitas. I made this recipe and plan on always keeping a batch in the fridge! They are so good! and easy! Best recipe find in a long time! 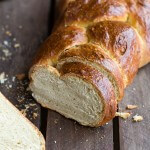 Have you ever tried this recipe using einkorn? No, sorry I have not. I am not familiar with einkorn so I really have no idea what that results would be. Sorry! Wow – this was amazing! Thanks, it’s so nice to find a full-proof recipe. no sugar needed in this recipe? I’ve been looking for a good recipe for pita bread and I think I found it! Thanks for sharing, pinning! I am obsessed have made these twice this week already. Thanks for the recipe! YEAH!! So happy you loved these, THANKS! 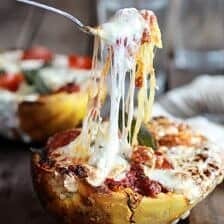 Can I make these with a normal pan? I do not have a cast iron. I don’t see why not. You’ll simply have a harder time maintaining consistent heat. Just like when you make pancakes, adding the batter changes the temperature. Cast iron is ideal because you won’t get so much temperature fluctuation, thereby getting more consistent results. It’s worth buying a cast iron pan for things like this. A small one will be inexpensive, and worth having around. Cast iron is best, but I have had reader make this in a normal pan as well. I just made these using your recipe. They are PHENOMENAL. I am munching on one right now. I plan to make the other half tomorrow and I will be making these year round for sure! These are much better than what I have found at the store! SO happy you love these! Thanks! Just made these for the first time today, and I am just sorry I didn’t do it before!!! They are delicious, thank you! These pita are really tasty, and I’ve made them twice now, but mine are coming out a bit tough. I tried kneading less, and that helped a little, but still quite tough and chewy. Any advice? Hey! How much flour are you adding? I’m using the 2 1/2 cups called for, and being cautious with how much I use when kneading. I’m mixing by hand as I don’t have a mixer, and the first time I kneaded the dough for about 5 – 7 minutes and it came out very tough. The second time I kneaded less, as I was worried I had over kneaded and it came out much better, but still quite tough. I’m a very experienced cook, but not much of a baker, so it’s possible I’m missing something very simple, but I’ve been trying to follow the recipe to the letter. Hey! I think it is probably because you are hand kneeding it. Just try working the dough a little less. Hope that helps! I’ve never made anything using yeast before… so I’m really excited to try this today! I’m pretty nervous, and not sure if I really have the best kinds of work surfaces for this in my tiny apartment… but it’ll go great with the chicken I’m cooking in the crockpot! Found your lovely site as you were mentioned in The Australian! I’m so glad to have visited your site……..
Oh SO COOL!! Thanks so much for letting me know and thank you for clicking over!! 🙂 Hope you love everything you see! HI! Are you sure your yeast fresh? Did it foam in the beginning? Does the recipe only work with fresh yeast? “Fresh” in the age sense, not as fresh versus dried yeast. If your yeast is old, it may take a larger quantity than the recipe calls for, or a significantly longer rise time. This pita looks delicious! I tried making it today, but after following the intruscrions, my dough has not doubled in size. Is there anything I can do to fix this? What kind of yeast did you use? Was it fresh? IT WORKED!!! thank you so much, delicious! I made these last night and they were fantastic! I love that they didn’t take 3+ hours to make and I still have half a chunk of dough in the fridge. I can’t wait for leftovers w/fresh pita tonight. Thanks for the great recipe! In the recipe it says to bake them in a cast iron skillet but over medium to high heat leads me to believe they are cooked on the stove top. Which is it? Over the stove top. Enjoy! Tried it, nailed it. IT WAS SO GOOD! Never shop-pita’s again..
Hey Tieghan! We decided to do a greek nigh with chicken souvlaki and greek salad and figured it wouldn’t have been the same without a warm pita to dip in tzatziki. This is a great and super easy recipe. Thank you so much for sharing! Thanks Kelly!! So excited you loved the pitas! Just found your blog and I really want to try these. Just wanted to ask – Are you baking these is the oven? Some comments suggest stove top or electric skillet – have you tried these cooking methods or should I just stick with baking them? These actual are cooking on the stovetop preferably on a cast iron skillet. Does that make sense? THANKS! Awesome! Hope it goes well! Just made these and they are DELICIOUS!!! Amazing soft chewy bread texture, and they even have pockets! I used a stand mixer but I’m always confused about what Low/Medium/High speed is since it’s numbered 1-10. I put mine at about a 3 and it worked perfectly! The dough came out so pillowy and beautiful. The pita even looks like your picture! 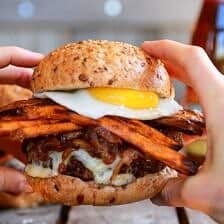 I just found this blog and am in love; can’t wait to try another recipe! SO happy you loved these. THANK YOU! I have been experimenting with Greek food lately, and your recipes have been the best. They taste like the Greek food I’ve come to love. Thank you. Your recipe is great! I tried 2 different recipes tonight, 1 had milk. The one with milk is way too heavy. I wish I could post photos of how they turned out. I did 3oz dough pieces and rolled them out to 6ish inch rounds. I got 7 perfect pitas. My fiance and I have found this great local Greek restaurant that does a chicken souvlaki sandwich and I’m determined to learn and understand how to make it. (We both work in restaurant kitchens) Im really trying to learn foods from different cultures. So thank you for sharing this! All the way from Burke Virginia. I loved them! 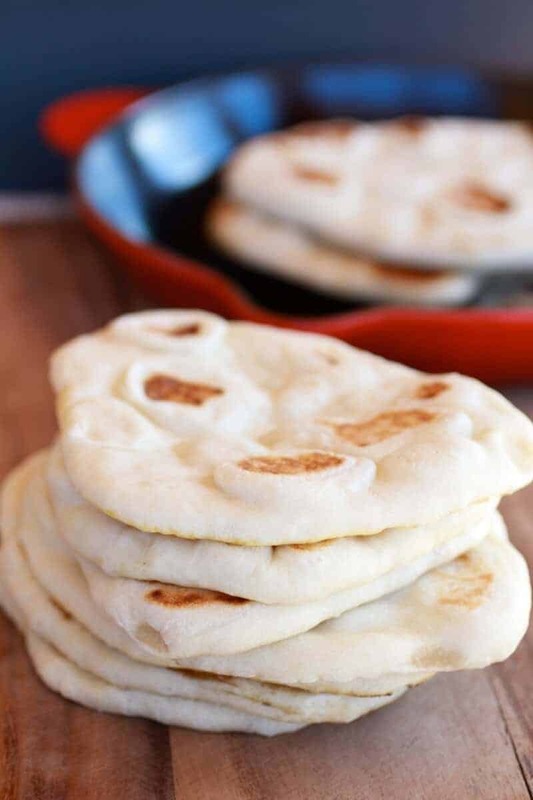 I had made pita bread before with a different recipe that was really fiddly, rolling and then folding the dough and alternating kneading and rising like a hundred times. This one was much easier, much more fun, and the bread tasted great! I served them with homemade falafel and greek yogurt sauce. Really delicious! my first attempt at the dough was a bust! It did not risE. My fault, didn’t realize I was using instant yeast and added hot water to it. (At least I think that’s the reason) 2nd try, added The instant yeast directly to the other ingredients and voila! It rose! They were perfect!!! 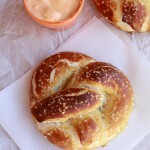 Making these tonight along with the chicken recipie and the tzazicki sauce! I don’t oen a cast iron skillet anymore I moved out of state and could only bring clothes with me. Starting over at 54! It’s actually easier than you think. Really liberating. Although I miss my old kitchen supplies. I’m gradually replacing am item at a time. It’s surprising what you can live without! I hope a regular skillet will work. I made these pita breads this afternoon for dinner tonight. Could not believe how easy they were! made some, left some to make fresh with Greek Grilled Chicken with a Green Goddess Dressing and greek salad – these SOOO fit the bill to mop up all those delectable juices! Next experiment will be with gluten free flour…. I made these two nights in a row, first night I followed the recipe to a T, they came out really good. Second night I added a bit of sugar (didn’t measure but maybe 1-2 tsp), they came out fantastic! The sugar gave something for the yeast to eat so I got a better rise, texture, and flavor. Thanks for the recipe, I’ll be printing it off and using it whenever I need pita. Thanks for the tip on the sugar! So happy you love the recipe! OMG I made these yesterday and my family devoured them. They are so tasty. I’m never buying pitas again. My family thinks I’m some crafty lady! I actually cut them smaller to make baby pitas, next timemI’m going to make them thinner. They were thicker than in your pictures but amazingly delish. Thank you for this recipe that will stay with me forever! YAY!!! Thats awesome! I’m so happy you all liked it!! Kind of confused here. Your recipe says to bake but I don’t see any temperature for the oven. Or were you meaning that you should fry them? Sorry!! I meant to fry them! Hope this helps. Let me know if you have any more questions! My family loves these pitas! I have a question that I can’t seem to find an answer to in this feed. If you were to make them ahead of time either by 5 hours or overnight how would you do this? Would you make them completely and then reheat them somehow or would you make the dough and refrigerate the dough then make them fresh? Planning on having friends for dinner and want them to be the best but don’t want to be making the dough with them here. Thanks in advance! Hey Carrie! 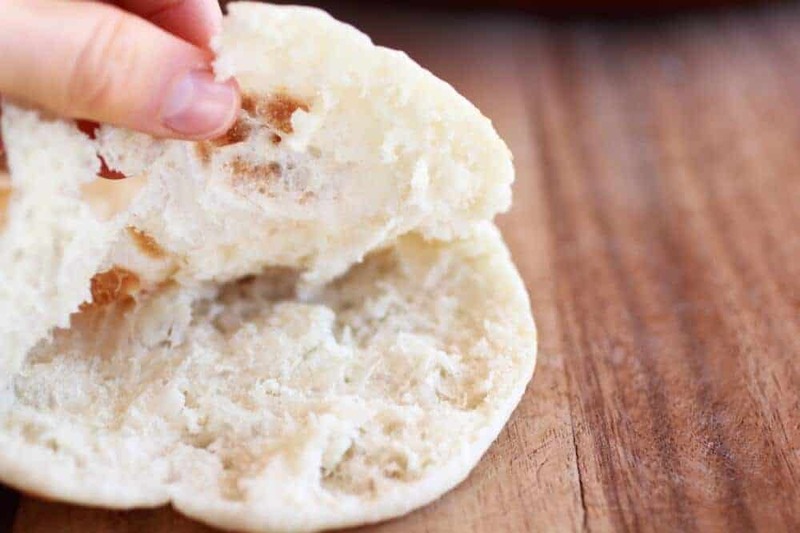 You can make the dough and keep it on the counter for a few hours (or in the fridge overnight, but remove it 2 hours before cooking) OR just reheat them. If I where you, I would just reheat them, since I think they are still delish this way. let me know if you have questions. Thanks! The texture was very good and I looooove a good pita. However the pita is really salty. I follow the recipe exactly, and the dought was shrinking a lot. Hey Eleni! I am not sure why the dough was salty. Is it possible you added too much salt by mistake? If the dough kept shrinking on you, try rolling it back into a ball, covering it with a damp towel and letting the dough rest for 10 minutes. This should help with the shrinking. Let me know if you have any other questions. Thanks! ? Oh no! My dough didnt rise. I don’t know what I did wrong. HI Zia! it is hard to say without knowing how you made the recipe. Did you follow it exactly? Was your yeast possibly old? Hi, I’m making these tomorrow, do you know how much flour is needed in grams and water in ml? Hi Kelly, I am really sorry but I do not know those measurements. I believe you can calculate them online though. Let me know if I can help in any other way. Hope you love the bread. Thanks! Hey Mary! I am sorry, but I have never tried these with another flour so I really do not have an answer for you. If you are comfortable giving this a try with a flour you use I say go for it! Let me know if you have other questions. Thanks! Just made these and omg they are soooo good! I will never buy them again so easy to make and so much better then store brought. Mine came out looking just like the picture. Thanks for this recipe it’s now my go to for fry bread and petas. Sounds so awesome!! I’m really happy they came out well and you liked them! Very excited to make them and very happy to come across your pita recipe. Just one question : Could I use a bread maker to make the dough? Hi Altynya! Yes, i think that should be fine. Let me know if you have questions. Thanks! Awesome! So happy to hear you both enjoyed this! Thank you Andrea! Man, you’re, they are insanely good!!! Incredible!! Thanks so much for sharing!!!! I just made them: so simple and delicious. I ate them with roasted chickpeas, veggies and tzatziki, and it really made a difference. Thanks for sharing the recipe! Sounds super yummy! Really happy you loved this recipe, thank you! I am having a Greek Dinner party next week and will definitely give this recipe a try. Thanks for sharing. I hope you love it! Thank you Dmitri! So happy you liked them Mary, thank you! Sounds like a pretty fun class! I’ll never buy pita from the store again. Thank you! Still working to roll out the best thickness and figure out the best temp on my stove, but all were nonetheless tasty. I am so glad you like this Sean! Thank you so much! I am so glad you found my blog too! I hope you love this recipe and others as well! Thank you! Yesterday I decided to give this recipe a go: I’ve been making bread for years but for some reason never made pita type breads. biiiig mistake. Hubby and I are now hooked. I made a delish lamb shawarma filling to go with it. oh joy! oh bliss! even if I do say so myself. kudos on your blog, I’ll be coming back regularly. Oh wow yes! I’m hooked as well! The lamb Shawarma sounds amazing!! Just tried these today. 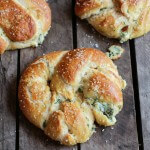 Only one problem, I ate them with some tzaziki as fast as I made them…. :) Delish. I was skeptical because I’ve never found pita as good as when I lived in Greece. These were them!! After cooking them, brush with a little olive oil and a sprinkle of seasoned salt, throw them on the grill to warm beside your pork and you’re eating the street food from Glyfada. Excellent. Thanks for the recipe. This is so awesome! 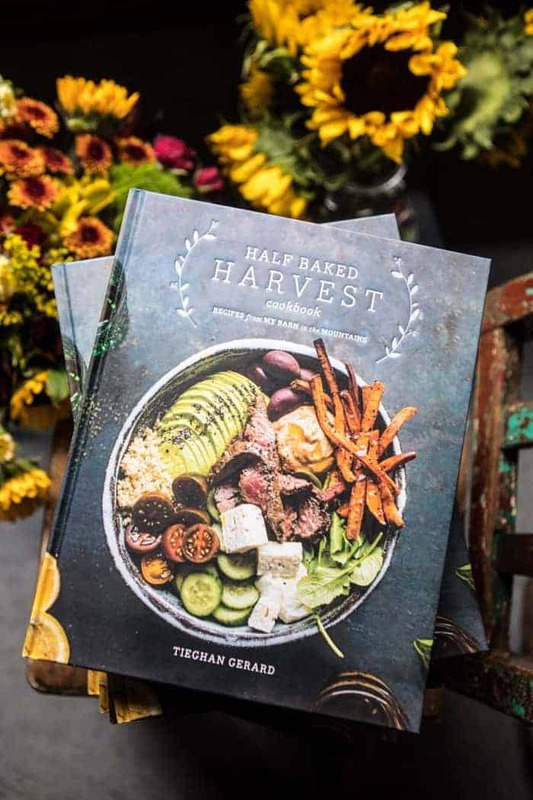 I am so glad you love this recipe and that its as good as the bread you had in Greece… what a compliment!! Thank you + I hope you enjoy other recipes on my blog as well! love your recipe!! how long would you say you can keep in the freezer? thanks! The flavor of these is Excellent. I found that if I rolled them out very thin, they will do the magic pocket puff, and if Irolled them a little thicker, they were perfect for souvlaki sandwich. Also, they were great brushed with olive oil and sprinkled with flake salt after they were done on the skillet. I am so happy you liked these Jane! Thank you!! thank you very much for the recipe and i’ll definitely try this soon. this article is very useful to anyone who is interested about it. thank you for the article and keep up the good work. I have made these pitas so many times!! I have gotten so many compliments on them. Every time I make them I have to double or even triple the batch because everybody wants more! Thank you so much for the recipe! Thank you Kelly! I am so glad you enjoy this recipe! Could you possibly make a quick tutorial video on these pitas? Thanks! These were perfect! The dough was absolutely amazing to work with!ised exactly 2 1/2 cups of flour. Will be making these again. Thank you Angie! I am so glad this turned out perfectly for you! I commend you for all the wonderful recipes you have introduces your followers to but I suggest you be more specific about the temperature of the water you might the yeast in. Hot but not boiling leaves too much to chance. Dry yeast typically needs temperatures of 105-115 to “wake” the yeast. Boiling is 212 degrees so that leaves quite a range to work with. Temperatures of 120, quite tolerable to human touch will begin to kill your yeast. 140 degree water temperatures, quite hot to the touch is what many hot water heaters are set at (and still far from boiling), will kill your yeast. Dead. No rise. Cooking can be a very forgiving endeavor, allowing free styling your measures and ingredient substituting and still achieving wonderful results. Baking however is at it’s core is science. There is much less room for error and improvisation, certainly at the level most of us are working at. Thanks again for your wonderful recipes and the I appreciate all the time you must certainly put into your work. Thank you! I will try to be more clear from now on. I am so glad you are enjoying my recipes though! I literally make these like twice a week. My kids devour them. Thanks for sharing this recipe. Could I use buckwheat flour instead of white all purpose? Made this today and it was a hit in our house! I had to use a stainless steel pan since I cannot use the cast iron on my stove. Thinking of putting a cast iron pan on the grill and trying it this way next time! I am so happy I found you!!! It was through Pinterest. Now I own your cookbook ( Amazing!!) and follow you on Pinterest. This recipe was amazing and so simple. All of your recipes are a breath of fresh air. Keep up the amazing work!!! I am so glad you have been enjoying my blog and the book! Thank you so much Amanda! Great recipe! Thanks, made it tonight! I am so glad you loved this Patsy! Thank you! I have been making homemade Greek food for over 30 years, but I’ve always used store-bought pitas. I was making souvlaki tonight and got home and realized I forgot to buy pitas so thought I would find something on the internet and give it a shot. I chose this recipe because it had the shortest rising time of anything I saw. My family and I were thrilled. These were absolutely delicious and the perfect texture and really easy to make. I think that’s the last time I get store-bought. Thanks so much. Hi! I am so happy to hear that you all loved this pita bread! Thank you so much! These were so yummy! They never puffed up but still tasted amazing. I made them to eat with curry, as I didn’t have all the ingredients for naan. So tasty! Thanks for a great recipe!